An association of lawyers living or working in Linn County, Iowa. 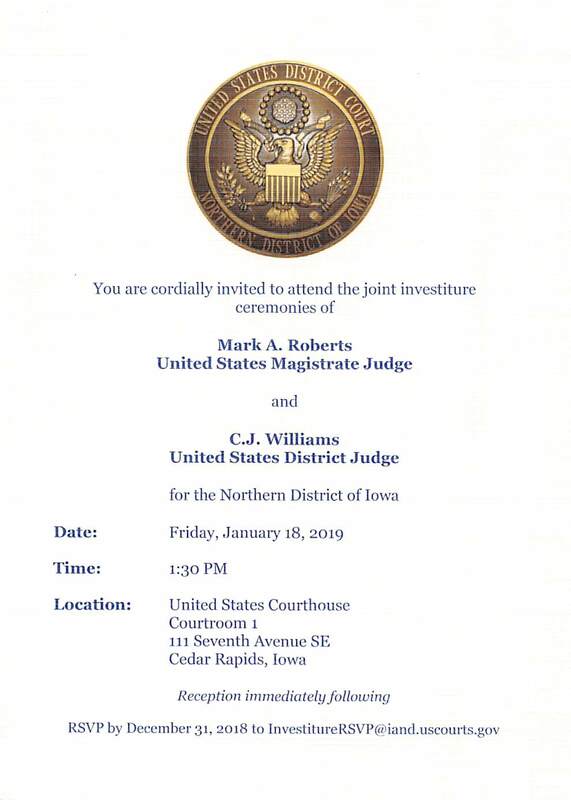 The investiture ceremonies of United States Magistrate Judge Mark A. Roberts and United States District Judge C.J. Williams will be held Friday, January 18, 2019 at 1:30pm at the United States Courthouse. RSVP by December 31, 2018 to investitureRsvp@iand.uscourts.gov. For lawyer referrals, please contact the Iowa State Bar Association. This website is maintained by the LCBA Technology Committee.